Captain Ronaldo Aldo has committed an unforgivable crime. He will ask for forgiveness all the same: from you, from God, even from himself. Connected by ansible, humanity has spread across galaxies and fought a war against an enemy that remains a mystery. 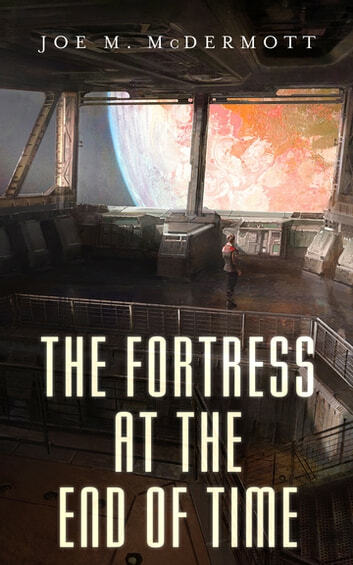 At the edge of human space sits the Citadel—a relic of the war and a listening station for the enemy's return. For a young Ensign Aldo, fresh from the academy and newly cloned across the ansible line, it's a prison from which he may never escape. Deplorable work conditions and deafening silence from the blackness of space have left morale on the station low and tensions high. Aldo's only hope of transcending his station, and cloning a piece of his soul somewhere new is both his triumph and his terrible crime. 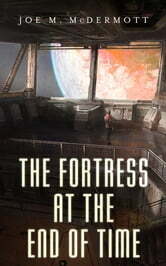 The Fortress at the End of Time is a new science fiction novel from Joe M. McDermott.